Which Ink do I need? Can I mix pigment and dye inks? No. Mixing pigment and dye can damage your print head and Inklink system. Can I change from dye ink to pigment ink? Yes. However you cannot mix the inks. We recommend changing the entire system. How much does pigment cost? Pigment ink costs an average of twice the equivalent price of dye ink. How do I know which ink I have in my Inklink? Dye inks have a transparent look while pigment inks look more like a milkshake. 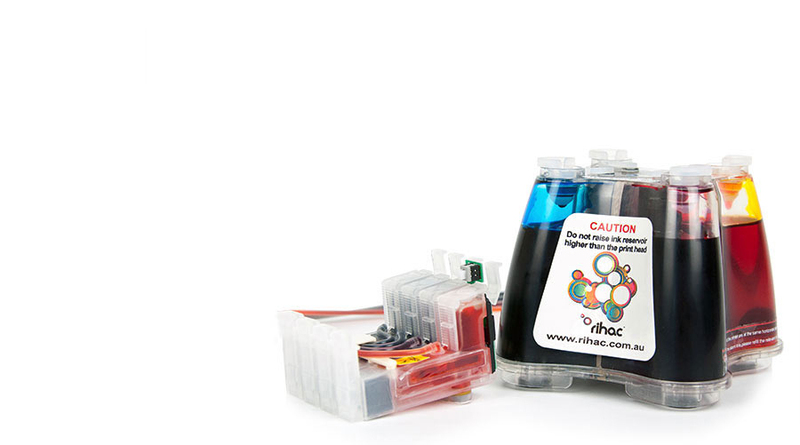 (retail price $15.99) and 3.1mls of ink in the colour carts (retail price $13.99).